Signs and symptoms of periodontal disease can usually be overlooked since it doesn’t involve any pain. Periodontal disease is a progressive condition and the number one leading cause of tooth loss worldwide. Periodontal disease occurs when oral bacteria begin to irritate or inflame your gums. This will results to bacterial infection called gingivitis leading to the destruction of the gum tissue and underlying bone. If left untreated, periodontal disease can make you lose your teeth. Because of the absence of pain, periodontal disease can be left to progress and develop. This is why dentists recommend regular dental checkups. 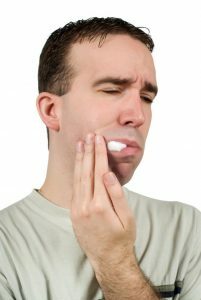 Bleeding when brushing – bleeding when brushing, flossing or eating food is one of the most common symptoms of gum disease. The toxins in plaque causes bacterial infection making your gums prone to bleeding. Pain, redness or swelling of gums – you may have periodontal infection if your gums are swollen, red or painful without any incidental cause. It is important to stop the infection from progressing before your gum tissues and jaw bone get affected. Treatment before it is carried into the bloodstream will also prevent other areas of the body to be affected. Bad breath – the smell of your breath originate from back of the tongue, the lungs and stomach, from the food we consume, or from tobacco use. Bad breath may be caused by old food particles left in between teeth and underneath the gumline. If you have deeper gum pockets more debris and bacteria are left there causing a foul odor. Progression of periodontal disease should be prevented before it causes further damage to your gum tissues and jawbone. Trusted dentist, Dr. Qureshi will initially assess your whole mouth in order to know the progress of the disease. After making a diagnosis, the bacterial infection may be treated with antibiotics in conjunction with nonsurgical or surgical treatment or both. If you only have moderate periodontal disease, gum pockets will be completely cleared of debris through scaling and root planing. The pockets may be filled with antibiotics to promote good healing and kill any bacteria. To learn more about the signs and symptoms of periodontal disease, call us today at (708) 482-4420.